Note: This is a re-broadcasting of a previously recorded live webinar. “Culture eats strategy for breakfast.” There’s lots of research and writing about the importance of organizational culture. So we’re willing to say that culture matters for nonprofits, too. So let’s talk about philanthropic culture – and why could/would/should it mean and why it works. 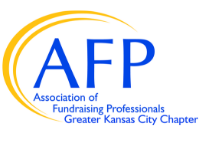 In addition to hearing Simone's tips for building a culture of philanthropy, you'll also experience our new webinar format, complete with ample time for networking and enjoying light bites in Kansas City's newest collaborative space, The Nonprofit Village at 31W31.